There is no doubt Amazon Kindle is an amazing thin, weightless and wireless e-book reader. This product has fair share of advantages in evolving digital market. It has changed the way people read books, news papers, magazines. Kindle offers the possibility of storing your e-books on an SD card,and seeing how little space these take, memory wise, it is more than enough. Kindle is a wireless device. It can connect to Internet through 3G connection.It offers access to many ebooks that can be bought from Amazon. Besides these advantages, it has its own drawbacks. Wireless reading is basically a trap to its customers from Amazon. For wireless reading pdfs and personal documents on Kindle is not a piece of cake.First you need to upload documents to Amazon, and use them from there by paying a fee. 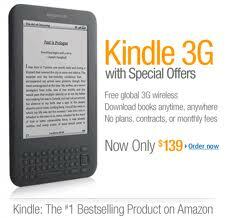 There are many tablets available in market which provide Kindle apps. 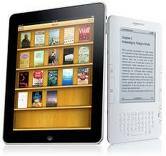 Though they come with more price tag when compared to Kindle, they offer other multimedia features. So customers need to think twice before they choose Kindle.